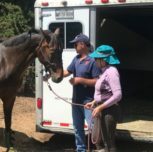 Expert horse training in San Luis Obispo by Barbi Breen-Gurley. 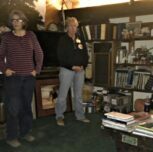 Barbie offers partial or full training on horses that need a little polishing. However, she no longer starts them as babies anymore. 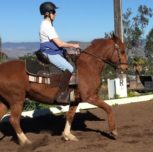 Horse training facilities include a bullpen, large fenced in arena and full dressage court. 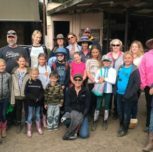 Depending on the situation, Barbie will teach students on their horse or ride the horse herself. The arenas have lights and good footing. In addition. 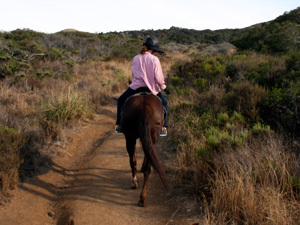 all the horses are exposed to trail riding as Barbie feels it is very beneficial for the horses mind and body. 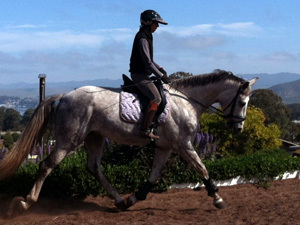 Most of the dressage exercises can be performed on the trails, even at the beach along the water. This helps to improve the horses balance and confidence. Even Barbi’s Grand Prix horses have at least one trail ride a week which adds to their positive attitude and work ethic.